sucrèe: Barbecue: A piece of heaven or a summer disaster? 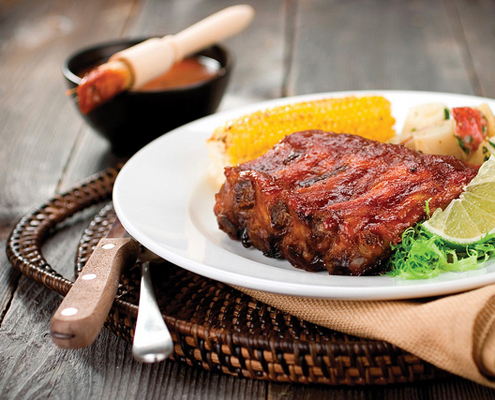 Barbecue: A piece of heaven or a summer disaster? A roaring fire, the company of good friends, refreshing cocktails, savory foods, all this is the little piece of heaven that we yearn for before the sun sets and can be easily labeled with one word, barbecue! One would not think twice to crash a barbeque if at all possible! But, in all seriousness, a barbeque is considered one momentous highlight of the all the summer's social events. 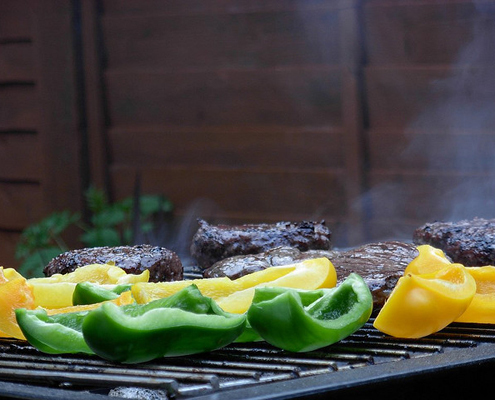 On the flipside, a summer barbecue can easily turn into a summer disaster, if proper precautions aren't taken to ensure food safety. The result can be a quick run to the nearest hospital, when the driver will find himself packing two beers, a few burgers, and/or an expensive piece of filet mignon in the back seat of the car for the ride and wait in the ER for his suffering patient. It is estimated that there are between 48 million illnesses and 3,000 deaths each year in the United States alone, many of which could have been avoided if people took proper care while preparing and consuming food outdoors in the hot weather. The good news is that it doesn't take a lot of effort to guard against food-borne illnesses. You can still drink your brew and hang with your friends while making sure that the detailing of your car will not be part of your barbecue cost. Here are some simple tips you can use this summer to make sure your barbecue snacks/picnics are both safe and delicious. The most important tip would be: wash your hands, and thoroughly I should add. If you happen to be out camping or barbecuing at a picnic, and there is no water supply make sure to bring your own source of clean water. If lugging around extra water for this reason is a hassle for you, no worries, bring baby wipes or sterile wipes. Carefully stock your cooler, or refrigerator, because the way you stock your cooler/refrigerator is very important. You definitely want your raw meats to be wrapped well and placed at the very bottom of the cooler or refrigerator, and AWAY from other food. This ensures that if any of the meat starts to drip, the drippings won't land on other edible items, thus avoiding cross contamination of any sort. Place the cooler in the coldest, shadiest part of the passenger area of your car. DO NOT keep it in the trunk. You might not know this but the trunk is generally the hottest part of a vehicle. When you arrive at the picnic site, place the cooler under a shady tree or somewhere else out of direct sunlight. Cook meat thoroughly. 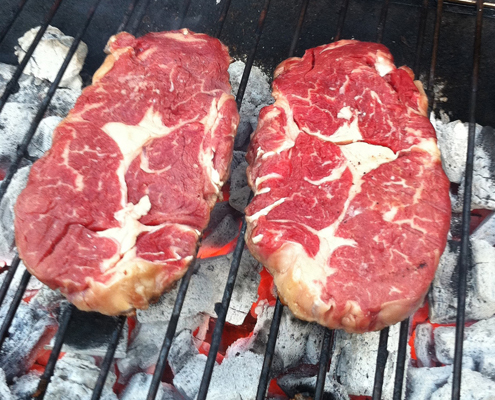 Most of us don’t like a dry burger or steak, and would rather have a nice mooing piece of meat. Then again, there is mooing and there is mooooooing. If you are not to sure what mooooooing is, use a digital instant-read thermometer to test your meat. Here are the temperatures you are looking for to ensure that no one runs the 50 yard dash to the nearest secluded area: 160°F for beef; 185°F for poultry; 145°F for fish. Avoid cross-contamination. Although using the same plate that the raw meat was in is tempting, especially if that means less plates for you to wash, NEVER place cooked meat on a surface that previously held raw meat. Use two sets of tongs - one to turn raw meat on the grill, the other to transport it to your plate once it's been cooked. Cover your food as much as possible. Insects bring all sorts of contamination to your food. Bacteria from garbage, road kill bacteria, yes-even manure and dog droppings land on your food from insects. On a warm summer's day, perishable food left unrefrigerated or chilled in your cooler will be unsafe to eat after only one hour. So, if you are craving to have left overs at work tomorrow, place any leftovers in an ice-filled cooler. 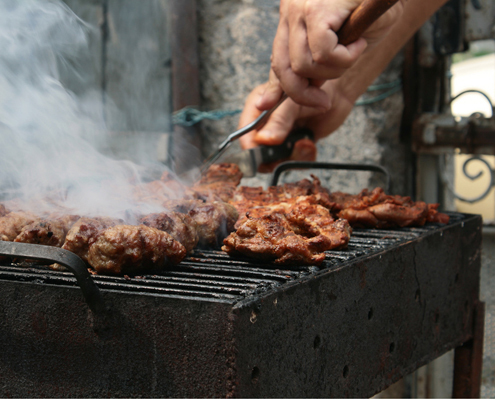 Follow these few tips and make your barbecue events the epitome of your friend’s summer. Besides, what’s better then a fun relaxing barbecue, sipping on brews, and showing off your barbecue and food safety skills, maybe chocolate? But, we will leave that for the winter.